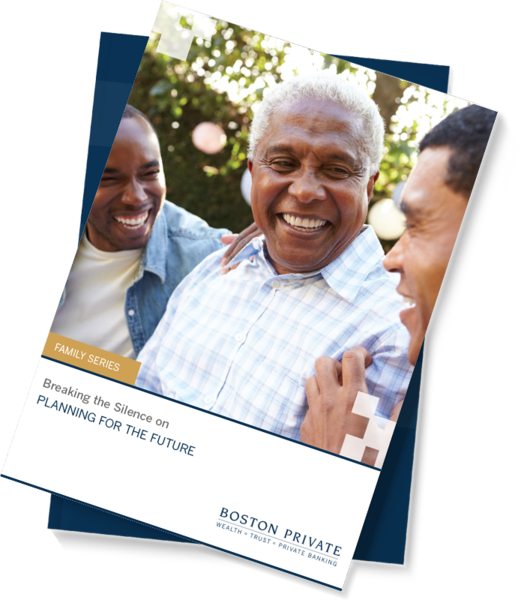 It can be challenging to get family to talk openly about future plans, needs and desires for aging parents. Yet, you can’t afford to wait until there is a crisis to rally the siblings or other family members to develop a plan that will adequately support mom or dad’s needs and wishes regarding healthcare, living arrangements or long-term financial wishes. We have developed this Family Series program to help you engage your family, and most importantly, your aging parent(s) in a compassionate, productive dialog that enables them to share their plans, needs and desires for the future. Don’t wait until there's an emergency to have a conversation about the long-term care needs of aging parents. Download this free workbook that helps families begin the conversation.